The Lypsyl Beauty Blog: How often should you clean make up brushes? Brush Up Your Act. How Often Do You Clean YOUR Make Up Brushes? After a meticulous cleanse and polish of our skin we slather on moisturiser, only to apply that expensive new make up with a grimy brush that hasn’t been washed for weeks. Yuk. In a recent survey of 1,000 women conducted by ex-Apprentice star, Tom Pellereau (more on him later), 44 percent of UK make up wearers had never washed their brushes and 60 percent hadn’t washed them in four weeks. Pretty nasty when you learn about the deadly germs and bacteria that like nothing better than to breed on your bristles, among them staphylococcus, streptococcus and e-coli. Feeling sick yet? If you’re struggling, stop reading. It gets worse. In a separate study, carried out at Loyola Marymount University in California, lab tests showed that make up brushes can accumulate some seriously unpleasant bacteria after just one week of use and by the end of the month-long test the bacterial count was just too high to measure accurately. Using grubby make up brushes over and over again can lead to unpleasant breakouts and at worse, recurring skin infections and yet so many of us forget to give them a thorough regular cleanse. So what’s the ideal make up brush cleaning regime? Most skin health experts agree we should be thoroughly disinfecting our make up brushes at least every four weeks. Aside from the skin health implications of leaving them to fester, it makes sense to take care of them so they last longer. Well maintained bristles, which are free of grease and old product, should also help your make up glide on more smoothly too. 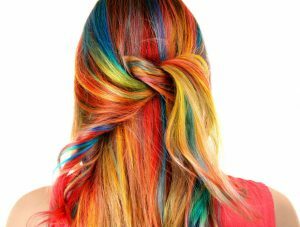 44 percent of UK make up wearers had never washed their brushes and 60 percent hadn’t washed them in four weeks. In case you’re still wondering where ex-Apprentice star Tom Pellereau fits in, he’s the inventor of a high tech cleaning gadget your dirty brushes will love. 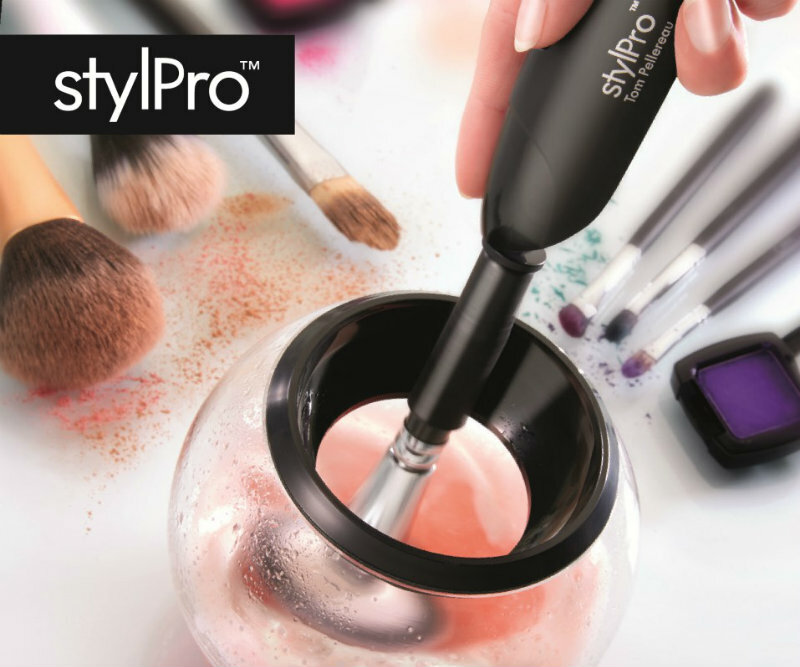 The Stylpro Make Up Brush Cleaner and Dryer secures your brushes in little ‘sleeves’ and holds them firmly in place as they spin round on a battery powered wand in a special cleaning solution. One capful of cleaning solution is all it takes before each brush emerges spotlessly clean and completely dry. They’re ready to use straight away and the excess solution, complete with all the dirt extracted from your brush, collects in the little glass bowl to remind you why you really should keep cleaning them regularly!